Here’s is the latest video about the construction of the first house at Finca Bayano. Eventually we are starting to build the first house in February 2018, on the Building Plot B6. The floor space is six by eight metres. 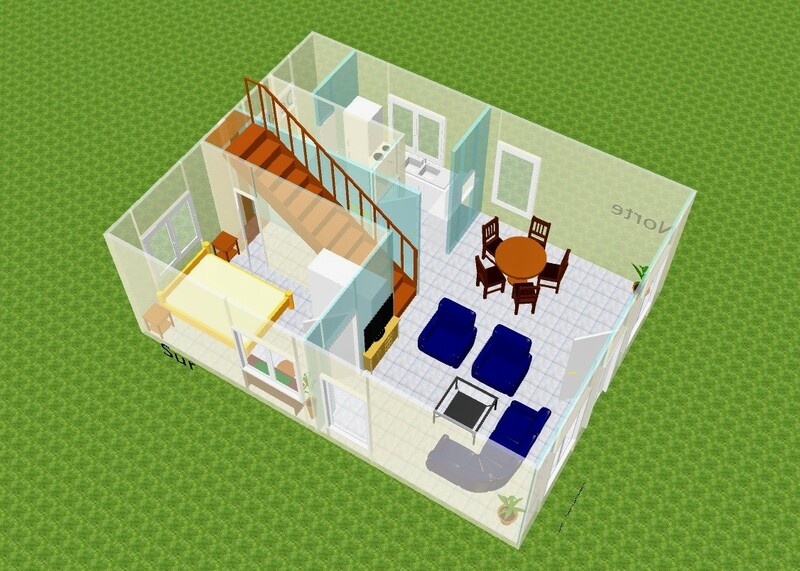 In the basement there is a large living room, a small room, a toilet with shower, a kitchen and a small storeroom. 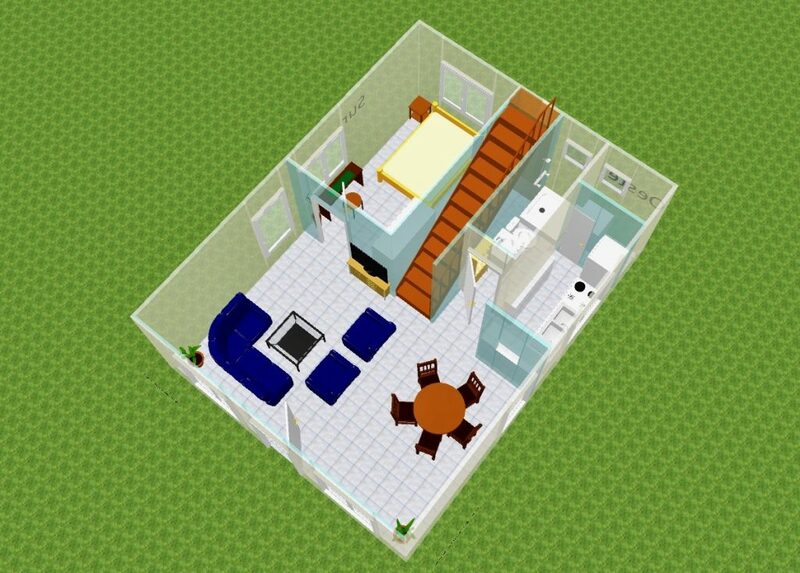 The upper floor consists of only one room with toilet and a large veranda. 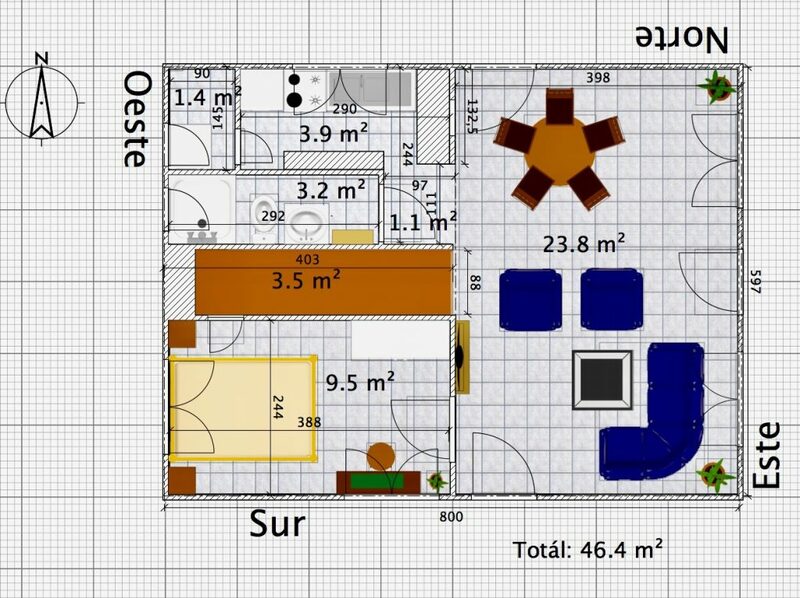 If you are interested, you can view and edit the PDF of this house on the program “Sweet Home 3 D”, the basic version of which is free of charge. Ask for the file! Up to building costs for a private house of $10,000 the fee for a building application is one percent. If the construction costs are between $10,000 and $75,000, the fee is two percent. If the construction costs are higher than $75,000, the fee is 2.5%. Since the estimated construction costs of our first house are $40,000, this fee is $800. Additionally, there is a $10 administration fee. I will report regularly on the progress of construction over the coming weeks. 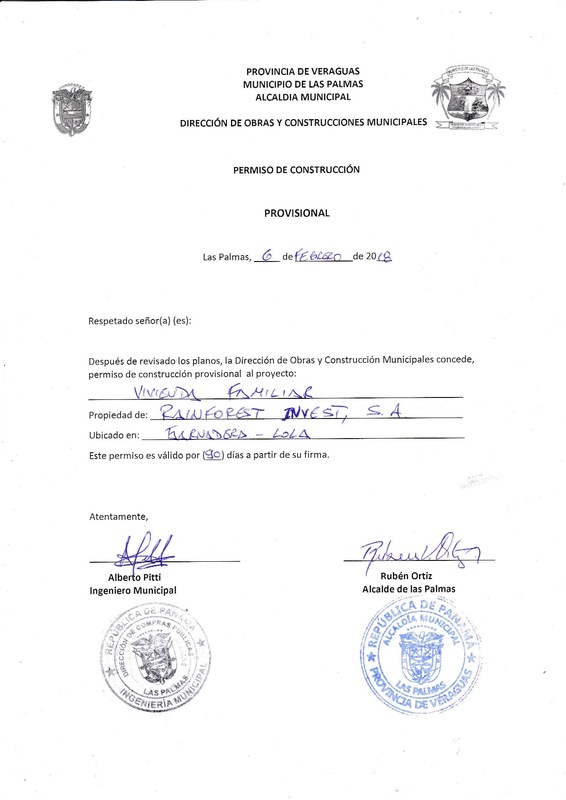 Eventually we’ve got it: The first building permit – it was granted on 6 February 2018. Building the first house is a huge step forward for Finca Bayano. 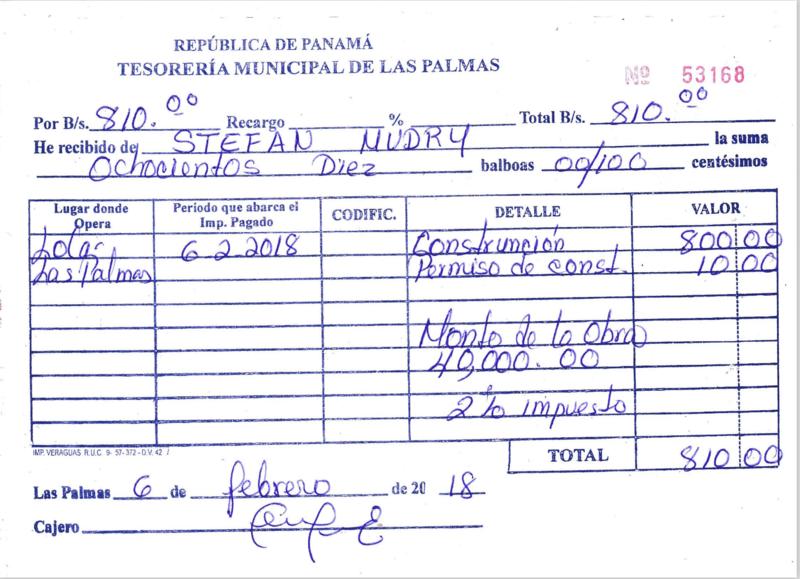 Obtaining a building permit is very easy in Panama because it is issued by the local administration at the mayor’s office. Basically, a hand-made drawing is sufficient and if it is not a building with several floors, no static calculation is necessary. Over the next few months I will keep you informed regularly and in detail about the progress of the construction progress. A second building is scheduled for April 2018. By the end of the year at the latest, the first house should be ready and from 2019 the first people are going to live at Finca Bayano. In the tropical climate of Panama, a large part of life takes place outdoors. It is therefore desirable to have a large terrace or veranda, which should normally have a roof. During the rainy season it is pleasant to sit dry and during the dry season you like to have shade. In view of the fact that the veranda in the present design represents a quarter of the total area, this requirement has been met. In addition, a terrace can be added in front of the main entrance. When roofed, it contributes to the enlargement of the veranda on the upper floor. It was also important to me to keep the walking area inside the house as small as possible. There is only a small staircase, which occupies 3.5 square metres and a mini corridor of one square metre, that puts the access of the toilet somewhat backwards and at the same time serves as access to the kitchen. I can’t remember how many times I was asked how many houses have been built at Finca Bayano already and how many people are living there. Every time I had to say that no houses have been built yet and that nobody has come to live here so far. That was frustrating. This view shows the ground floor. The living room covers about half of the area, the small room on the left is ten square metres in size. The space under the stairs is suitable for storing small objects. There is still no house at Finca Bayano and nobody is living there, but we are going to build the first house in March 2018. I assume that Finca Bayano will make a big leap forward with the realisation of this project. The building permit has been applied for and will be issued around 15 February. From this angle the kitchen and the toilet can be seen better. The small kitchen is sufficient for a small family. 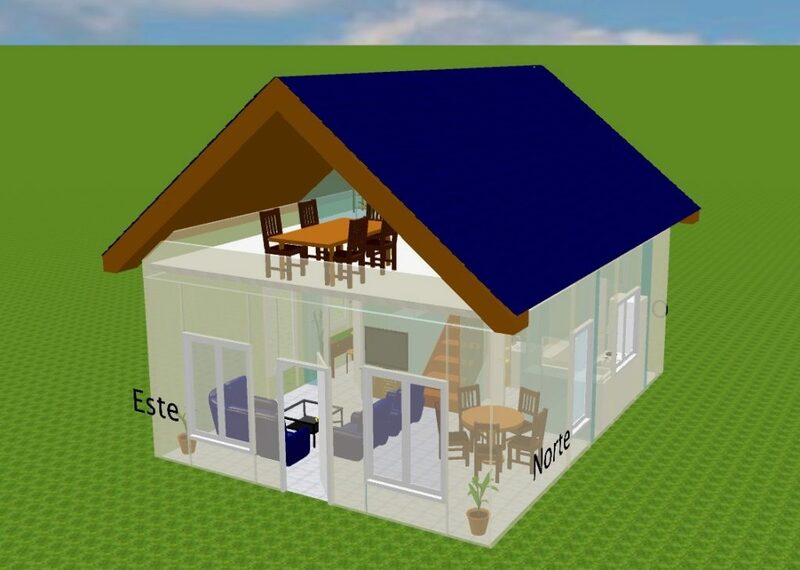 In Panama, the fee of a building application is calculated according to the volume of the building costs. The application fee is only one percent if the construction of the house is not expected to cost more than $10,000. Up to $75,000, the fees are two percent. Since I estimated the value of our first house at $40,000, the building application fee is $800. Additionally, there is an administration fee of $10. In addition to the terrace, only one small bedroom and a small toilet are planned on the upper floor. On this plan, the terrace has a view eastwards to the sunrise. The majority of the houses will have a view to the northwest. In the west you often can see a beautiful sunset and in the north the view into the valley and the mountains near the Atlantic ocean behind it is fantastic. 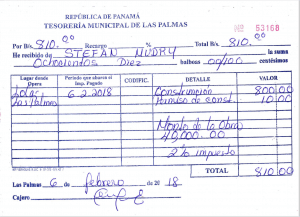 In general, Panamanians indicate a lower value in order to keep the fees of their building applications as low as possible. 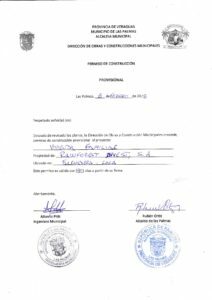 But there is not much that can be done, as minimum building costs of $300 per square meter are the base for the calculation of the building application fee at the mayor’s office in Las Palmas. Our variant is about twice as expensive. 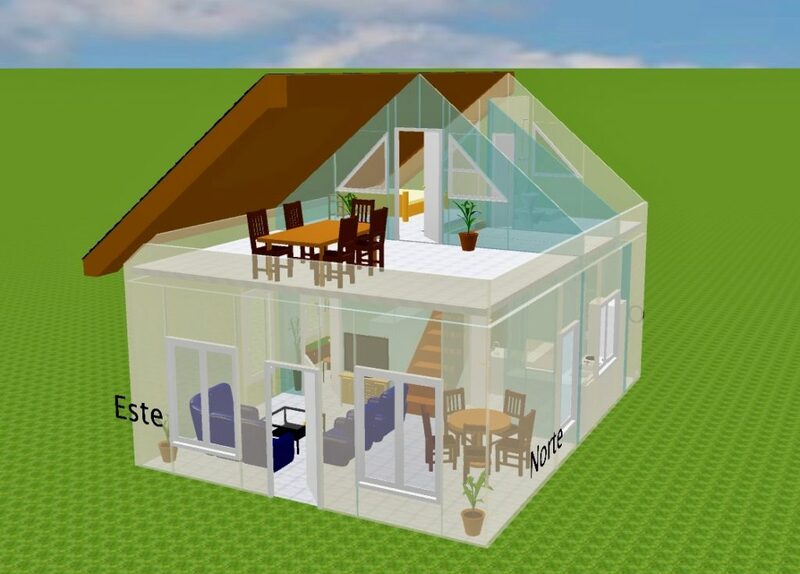 With 47 square meters of enclosed building space on the ground floor and 23 square meters on the upper floor, the total area is about 70 square meters, which, at a cost of $600 per square meter, results in construction costs of about $40,000. 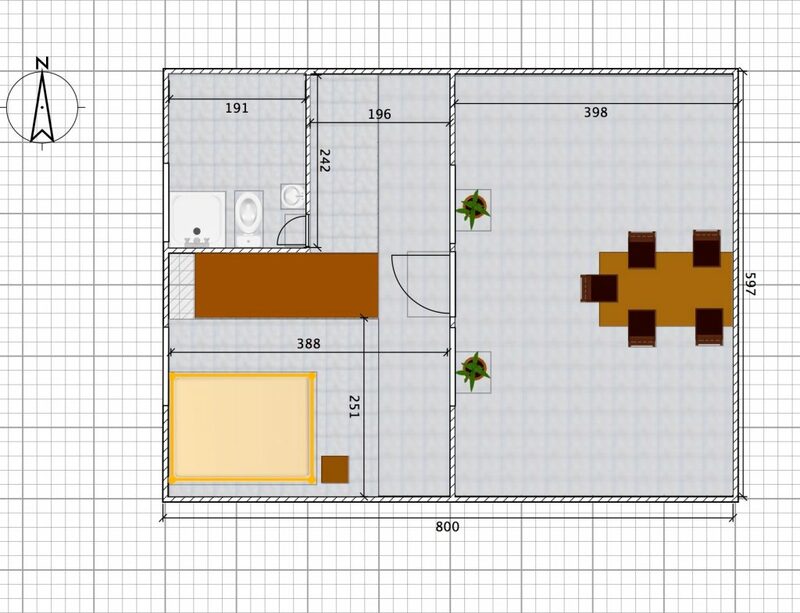 On this plan the whole house is covered with a roof. 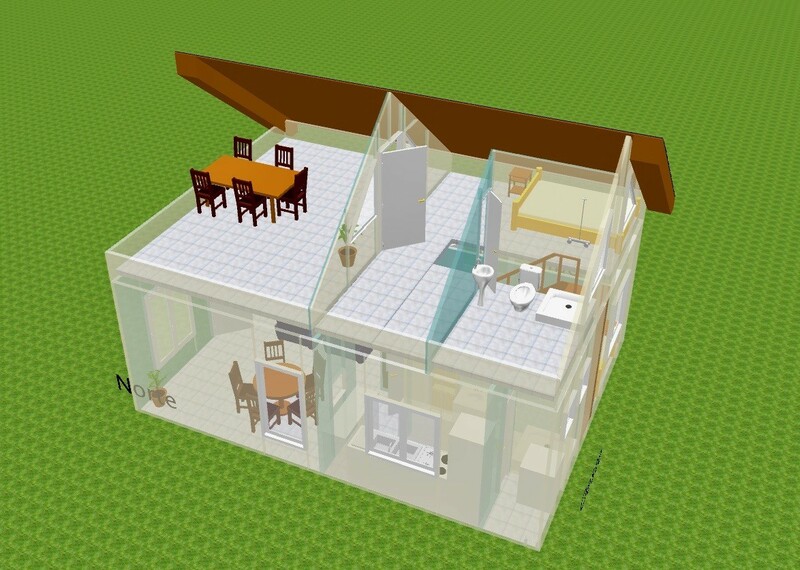 Of course, it is also possible to cover only the living area and leave the veranda uncovered. 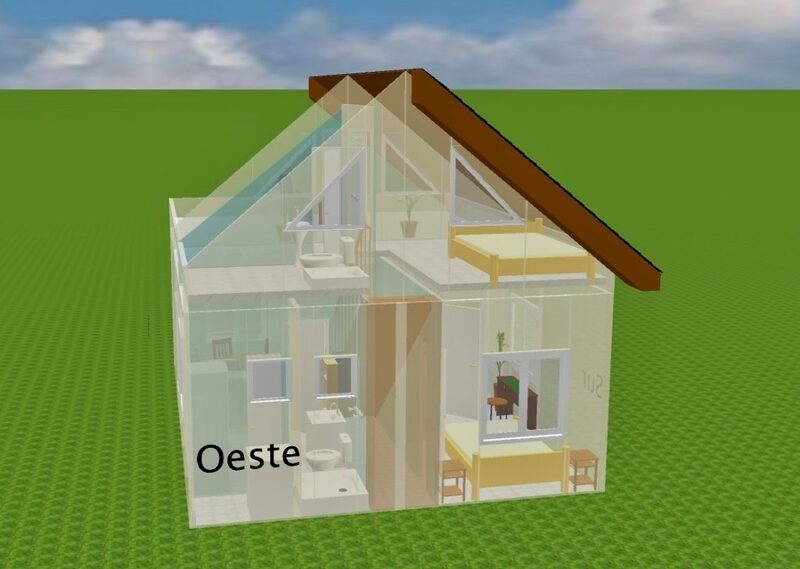 The walls are transparent in order to have the most direct view inside this model. Making the roof transparent was not possible with this free program. With the next house, we will get a better one. Because the building regulations in Panama – especially in the countryside – are very loose, this plan can be changed at any time. In essence, the size should be respected and if it is not more than two floors, no questions will be asked. A plan does not have to be made by an architect and there is no control at the building site. Two persons should have enough space in this house. The special feature of the upper floor is the large veranda. Especially in the case of the higher situated plots, the view from here is even better and the breeze even more pleasant. There is the possibility to build an oven with a fireplace for barbecue on the terrace. Even for a table tennis table, the surface would be sufficient.